Tom Gores is courting a team now. 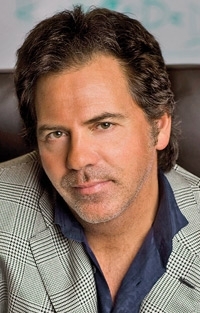 Tom Gores spent three years trying to break into the automotive big leagues in Detroit but fell short. Now he's trying a different league. The Israeli global private equity baron who nearly got control of Delphi last year may be in line to buy the Detroit Pistons. A source told Automotive News sister publication Crain's Detroit Business that Gores, 46, is among several bidders for the National Basketball Association team. Pistons owner Karen Davidson has said she wants to complete a sale by the time the season starts later this month. Gores, head of Platinum Equity in Beverly Hills, Calif., is estimated by Forbes to be the 147th-richest American, with a $2.2 billion fortune. Platinum put together a $3.6 billion deal to buy the former GM parts unit, which filed for bankruptcy in October 2005. Platinum had the backing of the federal government's auto task force but lost out at the eleventh hour last October when Delphi lenders bought the company at auction.